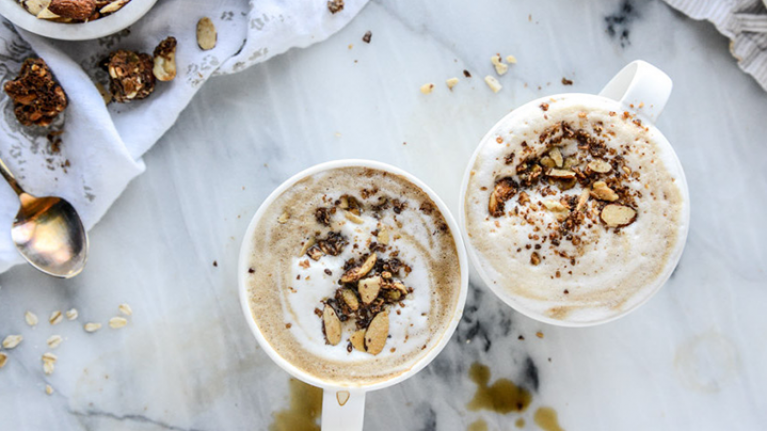 When it comes to mornings, I cannot function properly until I have had my morning latte. But with life being pretty hectic with two young children and two full-time working parents, I often end up sacrificing breakfast just to have time to fix ponytails or locate pirate swords or even just have time to brush my own teeth. Which, with breakfast being the most important meal of the day, is just plain stupid, I know. Luckily, I just came across this genius idea on one of my absolute favourite food blogs, HowSweetEats.com. 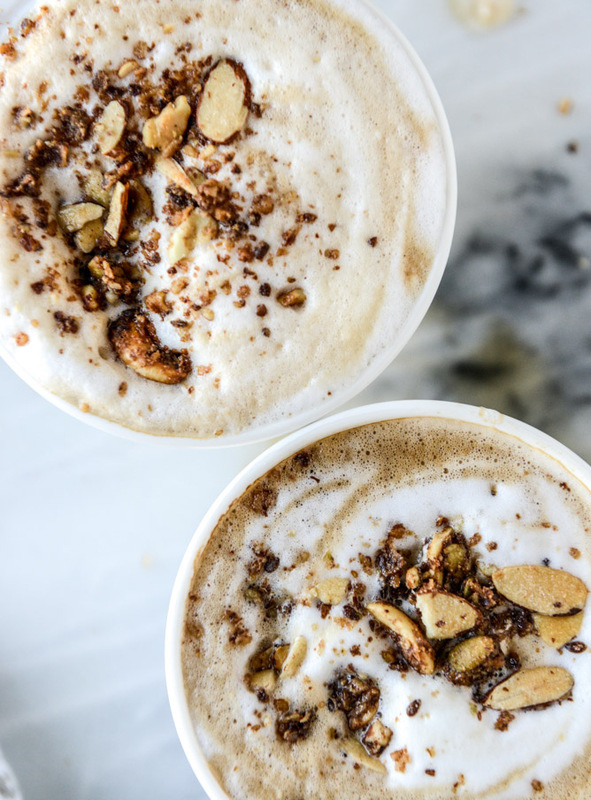 Say hello to the oatmeal (or porridge, if you will) latte. Seriously, this will just revolutionize my mornings, I feel. 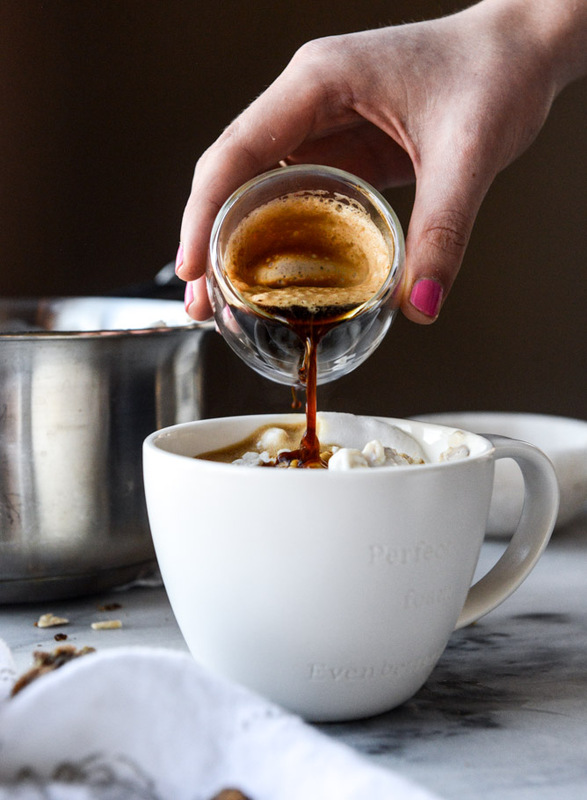 A concoction that’s liquid enough to sip yet thick and creamy enough to eat with a spoon. Double YUM. Place the oats and 1 1/2 cups of milk in a saucepan over medium-low heat. Add the salt and cinnamon. Stir to combine. In the meantime, froth or steam the remaining 1 cup of milk. Add about 3/4 cup of the steamed, frothed milk to the oats. Cook, stirring often, until the oats are super creamy and milky. Remove from heat. Stir in the remaining milk. Stir in the brown sugar and vanilla extract. Spoon the oatmeal into two mugs equally. Top each with a shot or 2 of espresso. Finish off with some granola on top. Sip and spoon!